CONCORD, N.C. — 18-year-old New York young gun Dane Lorenc is hitting the road for a new challenge during the 2018 season. 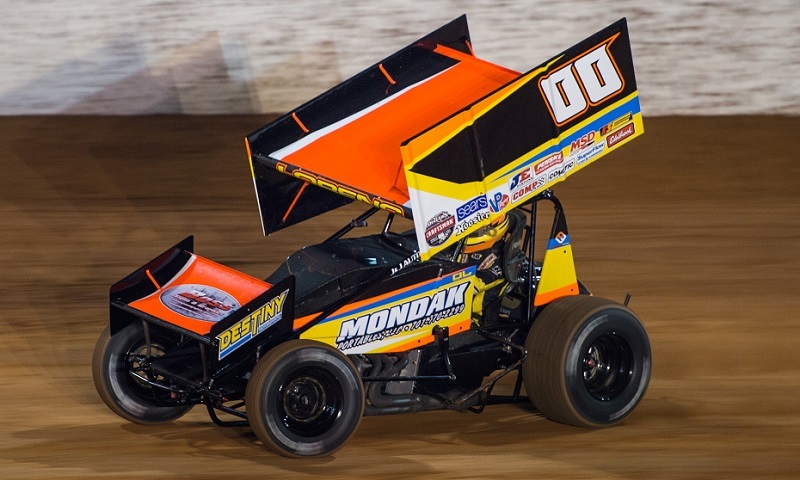 Lorenc confirmed to Race Chaser Online Friday afternoon, ahead of the second day of the Textron Off-Road World Finals at The Dirt Track at Charlotte, that his family team will be partnering with Destiny Motorsports to contest the full World of Outlaws Craftsman Sprint Car Series schedule. The Buffalo, N.Y. native’s quest for Kevin Gobrecht Rookie of the Year honors will begin with the DIRTcar Nationals in February at Volusia Speedway Park. Lorenc will have plenty of resources at his disposal, but perhaps one of the biggest will be a teammate in Parker Price-Miller, who plans to return to the seat of the Destiny Motorsports No. 4 next year. Lorenc added that going into the year, the idea is to set goals that are manageable as he and his family learn the ropes of a roughly 90-race schedule that criss-crosses the country. Simply having the opportunity to call himself an Outlaw in 2018 is something the teenager is already reveling in. Jacob Seelman is the Managing Editor of Race Chaser Online and creator of the Motorsports Madness radio show, airing at 7 p.m. Eastern every Monday on the Performance Motorsports Network, as well as a periodic contributor to SPEED SPORT Magazine.